Liches are a powerful type of undead. 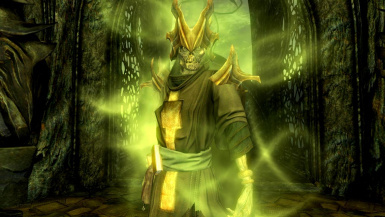 They are powerfull mages that have prolonged their lifespan through the use of one or various types of necromancy and black magic, turning them into powerful immortal beings, but rotten with the passing of time, and with constant need for fresh souls to maintain their existence in that undead form. Ogroids are men-eaters, orc-kin beasts with prodigious strength and immense stupidity, generally reaching a height of about twelve feet and weigh up to a tonne. They are dangerously violent and incredibly aggressive, and they engage in unpredictable behaviour, even between themselves. 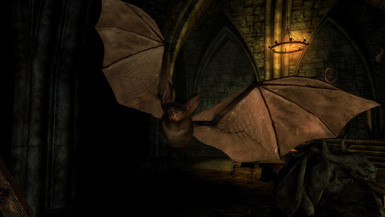 This mod adds a new species of bat (first appeared on tes 2) to the world of Skyrim as common enemies inside most of the caves, and also on forts and nordics ruins. They are aggressive and bigger than the regular vanilla non-aggressive bats, but share characteristics with them. An Elder and bigger version can be encountered too. 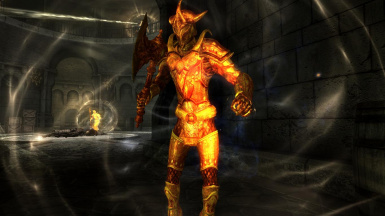 Aurorans are golden tall humanoid daedra from Meridia's realm, wearing bright armors made of enchanted pure gold and wielding light-enchanted auroran weapons. They're covered in a constant light cloak and are skillfull lightspell casters. 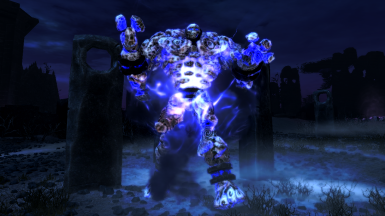 Based on ESO and Oblivion Storm Atronachs, Storm Golems are elite amongst the other storm daedras. 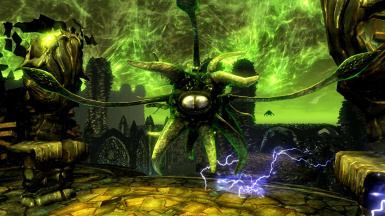 Extremely powerfull, they can cast a big variety of lightning attacks, are completely immune to shock magic and can also reflect spells. Only Electromancers and other powerfull shock magic users mages are able to summon and control them. Ghosts are the spirits of the dead who have unfinished business on or bound to the mortal plane. They remain with human appearance and able to talk untill they start to lose self-identity, memories and purpouse, then they become just a moaner floating figure that does not look anything like a human would, and with visible signs of self-punishment. 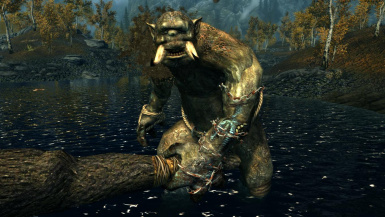 The cyclopes are one-eyed monsters, possessing a huge body, immense strenght and fearsome tusks. Fully grown cyclopes reach a height of twenty feet and, as a result of their large size they are prone to sloth and apathy. However, cyclopes can be inspired to ferocious action when they are angered, so act with caution in their presence. 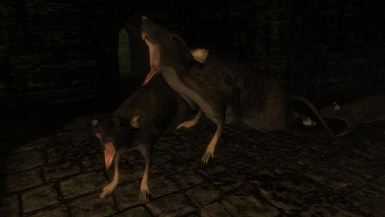 Giant Rats are aggressive medium size rodents. They can be found in sewers, mines, ruined forts, abandoned buildings, halls of the dead and caves. They have no outstanding strengths, nor weaknesses, but they are vectors of almost all the types of diseases. 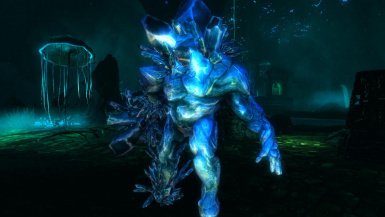 Crystal Golems are large masses of faceless and vaguely humanoid crystal, animated by unknown means, that patrol Blackreach. 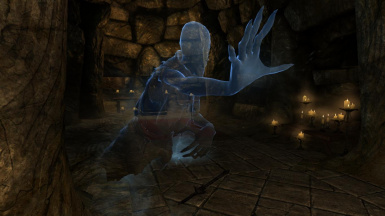 Despite Azura's Moonshadow and Meridia's Colored Rooms being almost inaccessible to mortals, its sure some also roam that realms since they're summoned sometimes by azura's and meridia's worshipers. Wraiths are the last corruption phase of a soul bound to the mortal plane by unfinished business, when he no more have memories and sense of self, just pain, anger and guilt. In this stage, they are no more souls or ghosts, just wraiths, remains of what one day was a person. Large and powerful beasts with cannibalistic tendencies, Ogres are a daunting opponent in singular combat and a major threat in large numbers. 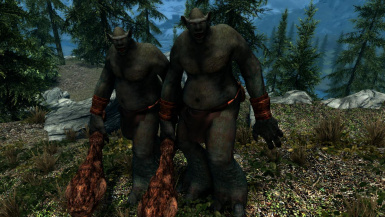 They belong to the same kin of Orcs and Goblins, and are child of Malacath. 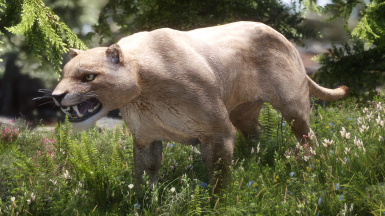 This mod adds 4 big cats from TES lore into Skyrim, in an immersive way. Mountain Lions on Jerall Mountains, rare Snow Leopards on the snowy mountain peaks, and Black Panthers and Leopards from the jungles of Hammerfell only as Warden type summons, and also 2 of them as pets for special npcs. Grievous Twilights are powerfull winged daedra that appeared first on ESO. 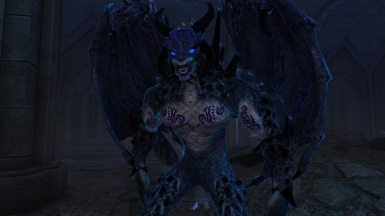 They are a unique corrupted variation of Winged Twilights created by Molag Bal, but some serve Nocturnal as well. In combat, Grievous Twilights will teleport and attack the prey from all directions, with a combination of melee and coldharbour fire magic. Ancient Nordic Sentinel, a type of gigantic Foundation Stone Atronach made of ancient nordic architecture. Zombies are naked, rotting bodies, displaying serious wounds, resurrected by an unnatural force or necromancer. 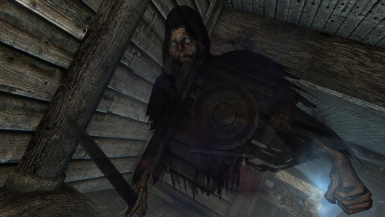 They are found in dark places and are simple corpses filled with evil power to mindlessly do the bidding of their master, unlike draugr they have no soul or sentience. They are aggressive and can be quick when they want to. 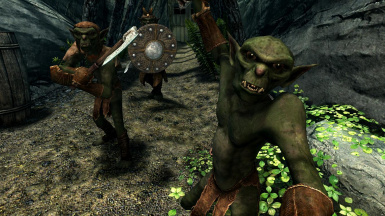 Goblins are small, violent, primitive orc-kin humanoids found throughout Tamriel, often living in sewers, caves, camps and ruins in small clan-based societies. They have green skin, big eyes with slitted pupils, pronounced canine teeth, pointed elven-like ears, long arms and little hunchbacks. Goblins are sentient, and worship Malacath. 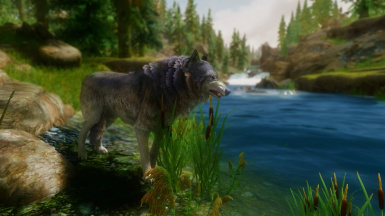 Cyrodiilian wolves are a common canine predator throughout Cyrodiil, often found in groups of three our four. 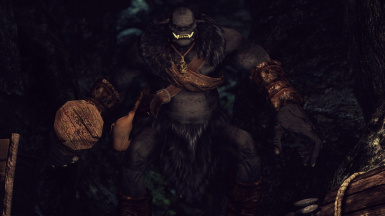 They are more furry and robust then their Skyrim's cousins. You can now find them close to the frontier to Cyrodiil, in 4 color variants and 2 types, common and Alpha. 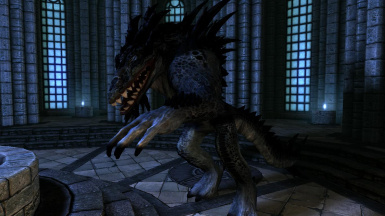 Daedroths are terrible daedra resembling bipedal alligator-like creatures. 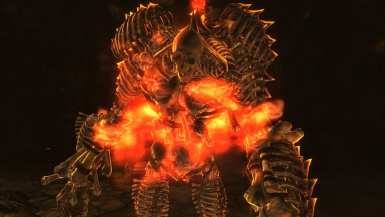 3 known variants of Daedroths do exist, 2 being the monstruous larger ones and more feral of the trio, and capable of breathing fire, and the other being the smaller one able to wield weapons, armor and use some rudimentar shock destruction magic. 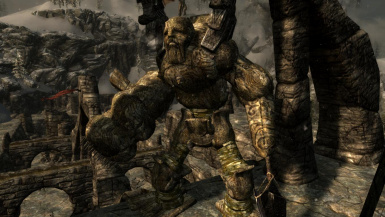 Bone Colossus are large aggressive golem-like undead creatures made from bones. They are raised from bone piles by Bonemasters, and fight alongside Bonelings. The most powerfull versions are embedded in elemental magica, like fire, shock, or the most powerfull coldharbour blue fire.